The tens of thousands of guests who pour through the gates of The Emerald Cup in Santa Rosa this December will be greeted by a sprawling wonderland of weed and cannabis culture. Everything that a curious consumer could dream of will be on display, and much of it for sale, in an experience that caters to connoisseurs and new users alike. A seed planted by some of the real OG’s of the Emerald Triangle, the event has grown to become the world’s premiere hub of community, education, friendly competition, music, and propagation of the goodwill that emanates from the cannabis plant. The best advice that we can give to anyone who may be attending their first Emerald Cup this year, or who may have been a bit overwhelmed in recent years, is to try to bridge the gap beyond the banners and logos – and even beyond the plant itself – and get to know the people behind the brands at the grassroots of the culture, for their stories are woven into the fabric of The Emerald Cup and cannabis history. 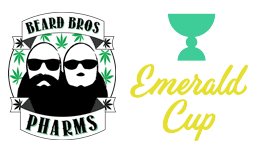 This year will mark the 16th annual production of The Emerald Cup, and it has come a long way from its humble beginnings at Area 101 up in Mendo. Cannabis laws were different back then and the prospect of even putting on an event at all hinged each year on the hard work and dedication of Tim Blake and his family and friends to make it happen. 2011 was a particularly rough year, but, as tends to happen in the cannabis community, some key people stepped up to make The Emerald Cup a reality and we caught up to one of them, Dan from Rebel Grown Seeds, for some real talk about the his role with the Cup, the plant, and what’s next for this East Coast native now with deep roots in the mecca of cannabis culture. Beginning in 2010 in Mendocino County, nearly 100 local cannabis farmers agreed to pay the local sheriff department $50 per plant for a zip tie with a unique serial number intended to keep the cultivators compliant with the 99 plant count laws for medical marijuana growers under the now defunct Prop 215. Additionally, these farmers were made to pay thousands of dollars annually for inspections, security upgrades, and other measures to bring them into compliance with the county. Those who participated in this program did so in an effort to follow the law, as grey as it was back then, and to safely provide medication to those in need. However, soon after the program was implemented and started making national headlines, fully camouflaged federal DEA agents stormed the property of a local elderly female farmer who had participated in the database, trashing her property and destroying her crop. They then moved on to the most outspoken advocate for the plant tagging program, Matt Cohen, another well-respected local grower and businessman. 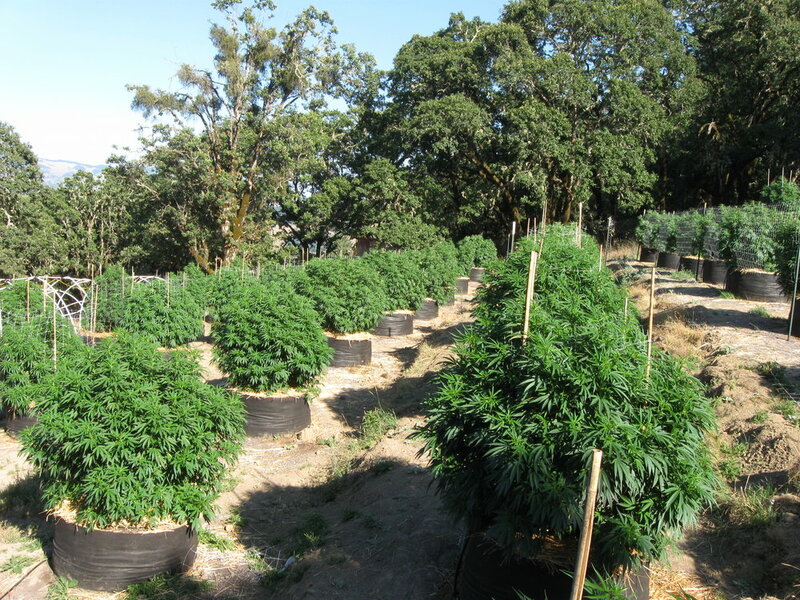 Mendo County ordinance at the time allowed a grower like Cohen to have up to 99 plants, each yielding around 5 pounds of flower, but militant federal agents armed with firearms and chainsaws instead used his registration to pin his location and conduct their raid. If the show of force from the Feds was meant to send a message, they accomplished their mission, and the fog of secrecy that the Triangle is known for became a little thicker as paranoia spread. The intervention even threatened The Emerald Cup that year when it was still being held at Area 101 just north of Laytonville. The decision was eventually made to hold the event anyway, but for a celebration of the finest outdoor cannabis in the region, the trimmed time frame they had in order to plan it left Cup organizers woefully short on the main attraction – good weed! That’s when Rebel Dan of Rebel Grown Seeds stepped in and wove his own thread into Emerald Cup lore. But long story short, already a well-versed indoor and outdoor cannabis grower from an early age growing up back east in New England, Dan landed in the NorCal cannabis scene in 2009 eager to learn as much as he could and eventually earn the respect of the deep-rooted cannabis farmers of the region who justified in his own mind that this lifestyle that he had always dreamed of could be a reality. Sure enough, Dan was beginning to work his way into the tight-knit Humboldt cannabis community and by 2011 he had founded his own collective and was running several large cultivation operations in the region. Meanwhile, on the south side of the mountain, for the first half of 2011 the legal advisors for The Emerald Cup had counseled Tim and his team that the current law enforcement climate was too risky to hold the event. By late summer, however, they had softened their stance and the show was back on. Around that same time, Dan made the acquaintance of a young lady saturated in the Humboldt and Mendo lifestyle for most of her life. She happened to be a volunteer at the earliest renditions of The Emerald Cup and was eager to introduce her friend Dan to her boss Tim. Dan immediately felt the vibe that The Emerald Cup is known for the first time he pulled up to Area 101. Once he heard of their predicament - facing such an abrupt timeline to make things happen - he was happy to help the best way he knew how. That season was a landmark year for Dan as a cannabis grower. Not only did he produce a jaw-dropping amount of cannabis, he was able to grow 36 different strains for production and R&D test an additional 50 varieties for future projects. This self-sustaining model allowed Dan to effectively promote his seed breeding business by backing it all up with high quality flowers grown directly from those genetics. It also left him with a somewhat ridiculously large head stash consisting of dozens of mind bending strains. As breeders do, he selected his favorites and those became his first entries into The Emerald Cup. His plethora of entries played a useful role in fueling that year’s event and Dan was rewarded with a 14th place for his 5G’s Yellow strain – a five-way polyhybrid featuring everything from funky kush tones to layers of rotten fruit flavors. He took 10th place with his famed OG Sour flowers, and his OG Chemdog returned the highest THC test result of all entries. Again, this entire experience is passionately documented by the man himself at the link above, but Dan says he will never forget the small, smoke-filled, dimly lit & overcrowded room where the awards ceremony was held at Area 101. “It was at max capacity but it wasn’t that big of a space so you had either longtime growers in Humboldt or Mendocino or you had the most passionate enthusiasts who really were down for the culture and so there was just this feeling of camaraderie like nothing else I have ever felt that we were all there to celebrate the fall harvest and to get the best weed we could get our hands on,” Dan told us, looking back. By 2011, the universe had lost track of how much cannabis Dan had smoked in his life, but that event marked the first time he had ever done so in such a public venue and it was certainly the first time he felt comfortable discussing his relationship with the plant with strangers. Dan’s compelling come-up is well-documented but hearing him tell it cements the man’s authenticity as anyone involved with cannabis in the dark days of prohibition can relate to the highs and lows that led him to where he is at today. Aside from growing some of the most potent cannabis that The Emerald Cup has ever seen, and in addition to his incredibly spot-on Kevin Jodrey impersonation, Dan at Rebel Grown is a uniquely sharp, thoughtful, and multi-talented seed breeder and businessman. A lot of growers and breeders talk about their willingness to share information and distribute valuable genetics to the masses, but Rebel Grown actually walks the walk. Known primarily for their fantastic work with legit OG Kush (from seed), Sour Diesels, and Chem lines, their flagship strains such as Rebel Sour, OG Sour, 5G’s, Lemon Sugar Kush, and others have been produced in terms of tonnage by cultivators around the globe due to the access given to proven top quality strains that other companies might horde for themselves. Formerly known as Ganja Rebel Seeds, Dan recalls his first Emerald Cup under the new Rebel Grown banner and how so many supporters of his work left the show disappointed that they could not find him. 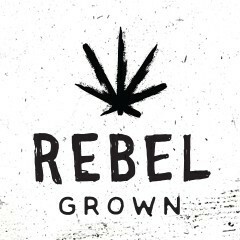 But brilliant branding based off of his own authentic relationship with cannabis has planted Rebel Grown back on everyone’s must-see list at the Cup. Their vertically integrated quality control system allows fans who may have seen the 2018 2nd Place winner Double OG Chem #15 in the display case at The Emerald Cup to then procure those same genetics for their own garden or farm. Not only that, but with the proper motivation they can even find finished flowers, grown by the breeder himself, for a sneak peek at what they can hope to expect when it comes time for their own harvest. “If you have enjoyed cannabis or you wanted to have cannabis in your life, you had to become a rebel. If you didn’t grow up in California under Prop 215, even trying to score an eighth or a dimebag was rebellious and dangerous. Whether you were a smuggler or hustler taking it across borders or growing it illegally, or maybe you were a computer programmer in Silicon Valley who had to go to some shady place to meet some guy in a parking lot to get it, everyone can identify with the fact that cannabis has been a rebel plant. It made us all have to be rebellious whether we wanted to or not,” says Dan of his Rebel Grown venture. He refers to The Emerald Cup as his “favorite holiday”, and we can certainly relate to that. You can find Rebel Grown seeds and flowers in premiere California cannabis dispensaries from The Emerald Triangle to LA and you can meet the man behind the brand at this year’s Emerald Cup scheduled for December 14th & 15th in Santa Rosa, California.